With a 13 month old at home, we have a set of 26 letter blocks at home. This evening I came up with a challenge for myself that took far too much of my time: Spell words with all the letters and leave as few as possible left over. 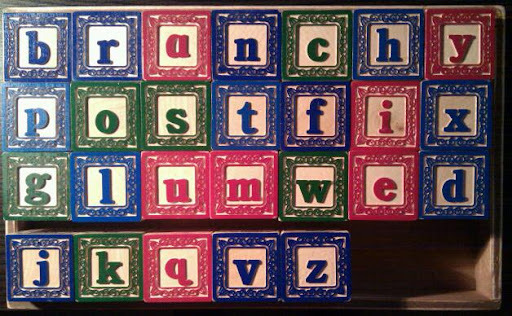 The blocks can't be twisted to represent letters that have already been used. My best so far is 5 blocks left over. Two hours before this post, my best was 6 left over, so obviously not the best use of my time.